​Any Day ! Any Time ! 24 Hour Repairs: 24 hours a day, 7 days a week, and 365 days a year, Utah's leading air conditioning repair specialists await your call! We Service Your Neighborhood: From the Suburbs, to the city, and Ogden and Provo, we dispatch from a location near you, and we respond to your call quickly—guaranteed! Our Reputation: From our A+ rating with the Better Business Bureau to the many other customer service awards we have received over the years, you can trust that your air conditioner is in good hands with us. Affordable Pricing: Repair your air conditioner without breaking the bank! Fresh Aire offers fair, honest, and upfront pricing, and we never charge extra for nights, weekends, or holiday service! 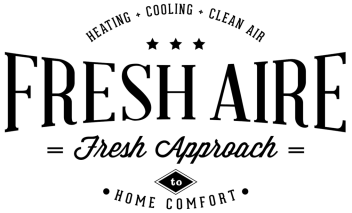 All Makes and Models: Fresh Aire has the expert you need to repair your air conditioner regardless of its make and model. 24 Hour Live Customer Service: Our friendly customer service representatives are available to answer the phone night and day. 90% of all air conditioning system failures are a result of little or no maintenance! A dirty air conditioner could cost up to 50% more to operate than a system that has been properly maintained! Cooling your home with a dirty air conditioner can take up to twice as long as it would if the unit were cleaned regularly! Well-maintained air conditioners can last 15-20 years or more, but a poorly maintained system will cost hundreds in repairs and will require replacement earlier than expected! An air conditioner tune up will save you money, and increase your comfort. Our certified maintenance technicians will remove dust, dirt, and debris from your system and check for any problems that could prevent you from having a cool, comfortable summer. Save Money & Energy: Clean air conditioners are able to use the energy they consume more efficiently. Less energy is wasted with each cycle and your energy bills begin to dwindle! Increase Comfort: Dust and dirt make it more difficult for your air conditioner to remove excess moisture and heat from the air and your comfort suffers. Eliminate this barrier to having total home comfort! Prevent Breakdowns: Dirt interferes with the function of the most vital components in your air conditioner causing breakdowns and interruptions in comfort. Minimize costly repairs and have Fresh Aire keep your air conditioner running clean. Increase Lifespan: Get the most out of your air conditioner and prevent early investment in a new system by having Fresh Aire keep your air conditioner in tip-top shape year after year.